Many obstacles may stand in your way of fulfilling your goals, dreams and aspirations. Money may happen to be one of the obstacles. If it is, you need to narrow the focus to whether the problems lies with you or your environment before you can attack the real issue. Do you spend too much money and save too little? Do you pay too much in personal income taxes? Is your income too low for your needs? This week’s blog, Waging War on Debt, concentrates on attacking your debt. This matter appears to affect more people than any other issues. Can you imagine if your debt was gone? This means money would not be gobbled up by interest charges. Your loan payments would now be directed to savings for the important things on your dream list. The feelings of anxiety and pressure of managing debt obligations would vanish. You would be more care-free. Do you control your money or does your money control you? Do you feel overwhelmed with bill and loan payments? Although we understand the necessity to pay for everyday conveniences, such as power and energy for equipping our homes, quite often it’s the loan payments we don’t need. One or two payments may be easy to handle. Anything more than two payments suffocates your cash flow. You may feel the weight of this debt on your shoulders. What you want to do is make the load lighter in order to regain control. The first step is to recognize how you got yourself into debt so that you never repeat the errors. You may have heard Albert Einstein’s quote “insanity is doing the same over and over again and expecting different results.” Don’t allow yourself to believe this won’t happen again and again. Even with a higher income, you can fall into the same kind of debt hole. Second step is to determine how to get yourself out of debt. Often, changing your circumstances means changing your thoughts. The book, The Secret, helps you realize that you attract what you want; but that you always have the power to attract what you don’t want without realizing it. Change your thoughts and you are able to change your life. Once you have accomplished this feat, the real work of finding appropriate ways to conquer your debt begins. Trimming your daily spending will be difficult as you look for extra cash to pay down your debt. By making crucial sacrifices, you will then have an easier time accomplishing the third step. Third step is to remember how you felt so you never experience those feelings of suffocation and being over-burdened. We live in a society where borrowing money is so easy especially for people with good credit scores matched with good annual income. Lenders like you. You need them when you want to borrow money. You have to exercise caution so you don’t fall into the trap of over-borrowing. Ideally, if you were going to attack your debt, what should you do? 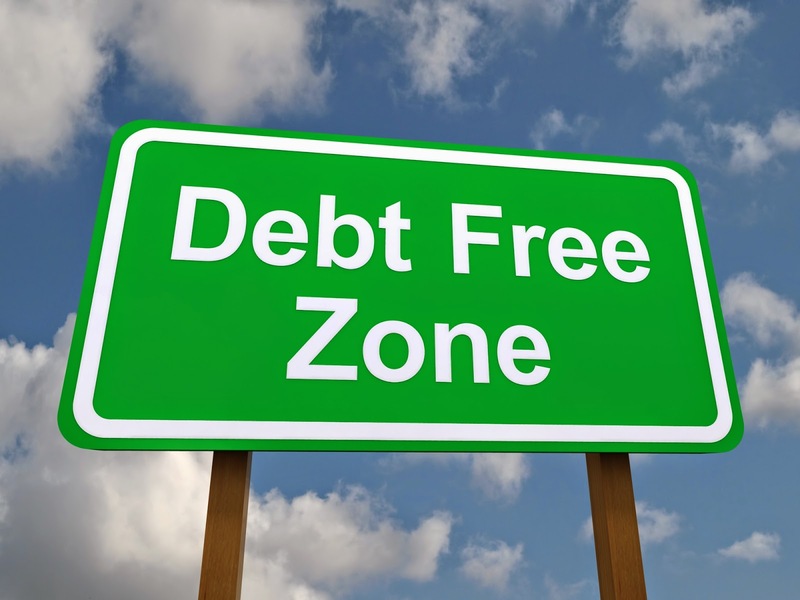 If only it was as easy as uttering the command, “Debt, be gone!” to solve all your debt problems. Since this isn’t going to happen, let’s resort to taking advice from someone who has helped many. 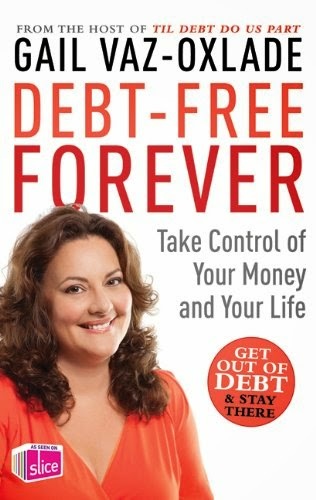 Gail Vaz-Oxlade in her book, Debt Free Forever, dedicated a chapter specifically to Lose The Debt. The article, Coping with a Debt Crisis, found at her website, mirrors the information shared in this chapter. Since I am not in the habit of re-inventing the wheel, I often recommend Gail's strategies to anyone who is serious about becoming debt-free. Gail is a straight-shooter. She says what you need to hear even though you may not like what she has to say about how you handle your money. The fact is she speaks the truth. Her down-to-earth advice is a reminder that we have to live within our means and becoming debt-free will take hard work. Depending on your ability to borrow, the simplest solution would be to apply for a consolidation loan. Since this option is not readily available to everyone then you may have to put “Plan B” into effect and find ways to reduce the debt on your own. You can read about Gail’s strategy by clicking here if you seriously want to get out of debt. Her approach starts with creating a list of your debt, insisting you face reality about your obstacles. Gail highly recommends not taking longer than three years to pay off your debt. Beyond this point, “Debt Fatigue” will set in because you’ve been in debt so long you can’t even imagine daylight anymore. This copy of Gail's Debt Worksheet was once available at her website. You have an empire of resources. It’s not enough to tell you what to do. It’s important to tell you how to do these things. Up until now the conversation has been about attacking your debt. You will need other weapons in your back pocket to help attack the debt problem. As I scoured helpful resources, Steve Pavlina’s blog about Self-Discipline: Acceptance, Willpower, Hard Work, Industry, and Persistence struck a chord with me. Although Steve does not relate specifically to money management, he does point out that self-discipline will overcome any addiction. Although you may not have considered over-spending an addiction but it is if you continue to dig yourself further into debt. Now it’s up to you to apply these tools and techniques to attack the obstacles that stand in your way. With the right information and right amount of discipline, you can be unstoppable in your war on debt. A quote which recently appeared on Facebook by Strength Sensei said, “If you’re not willing to learn, no one can help you. If you’re determined to learn no one can stop you.” You always have a choice. What will yours be?